1. Say just enough about the text to introduce what you want to say. This is a common approach. The text is read at the start of the message or before the message. The preacher then gives enough explanatory comments to get things going, then focuses in on what he wants to say, rather than what the text itself is really saying. Some do this blatantly with a two or three sentence transition between reading the text and moving on to the message of choice. Others may spend longer and convince more listeners. I was tracking with a message recently and this phase lasted fifteen minutes. But from that point on, the text was never really influencing the message, it was the preacher’s subject of choice that determined the goal and thrust of it all. Shame really, because the comments about the text whet my appetite, but the message fell so flat. In teaching I often say that no matter how smart you are, what you can make it say is not as good as what God made it say. In this case I have to modify the saying: no matter how smart you are, what you go on to say instead is not as good as what could have been said if the text were truly preached. 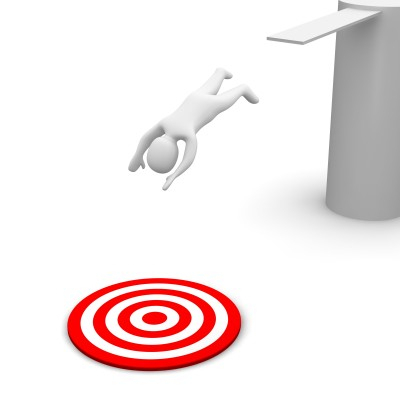 Don’t bounce off the text, leaving it behind in search of your target. 2. Preach from the details, but don’t figure out how they work together to give the main idea. This is fairly self-explanatory. It is possible to make points from details in the text, but never get to the point of understanding or conveying the thrust of the whole text working together. How do the details cohere? 3. Preach a generic message or idea from what could be any text. We are all capable of preaching abstracted truths and generic messages and tying them to a text with tenuous connections. Don’t preach a good message from a text. Preach the message of the text. Tomorrow we’ll add a couple more to our list. ← Do You Preach Concrete as Abstract?